Breitling has crafted a watch that combines the renowned precision of its Navitimer 8 series with a classy and functional design, that can be worn for the everyday. 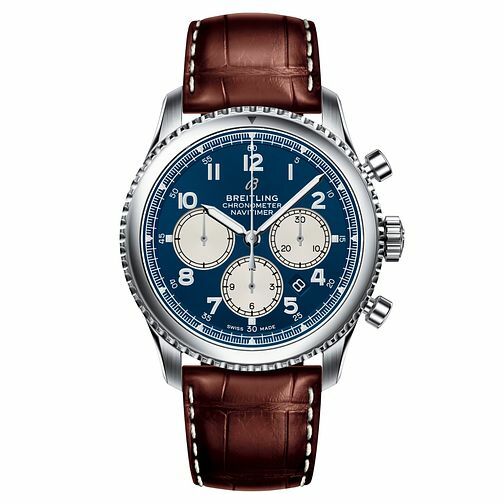 Powered by Breitling's proprietary automatic Caliber 01 movement with three chronograph dials and carefully marked with indices around the circumference of a striking blue dial. A date display is placed at the 4-o-clock position, and this watch is finished with a brown leather strap with white stitch detailings, and a COSC-certified chronometer.